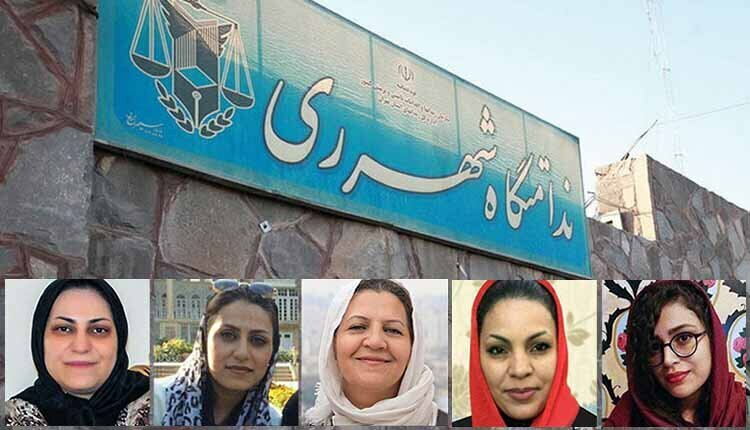 Gonabadi Dervish women held in Qarchak prison on January 31, 2019, wrote a letter to the prison’s warden Mohammadi to protest being locked up with prisoners convicted of drug trafficking, robbery and murder. Shokoufeh Yadollahi, Elham Ahmadi, Sepideh Moradi, Sima Entessari, and Shima Entessari have been detained in tough conditions in Qarchak Prison, on the outskirts of Tehran, in the same ward with ordinary criminals. The Dervish inmates complain that other prisoners in their ward, convicted of drug trafficking, robbery and murder, have been smoking opioids and cigarettes in shared spaces such as bathrooms and showers. According to prison rules, the Prisons Organization is obliged to detain prisoners in separate categories based on the crimes they have committed. The Sufi women, however, have been imprisoned in the same ward with prisoners convicted of drug-related charges, theft and social crimes, despite being prisoners of conscience sentenced on national security charges. In a recent case, Shokoufeh Yadollahi a female Dervish prisoner beaten during her arrest 11 months ago has suffered a further health decline from exposure to secondhand smoke in jail. She is supposed to be detained in a clean environment according to the doctors’ prescription. The latest reports indicate that she has lost her power of speech due to inhaling the smoke of drugs and cigarettes consumed by other inmates. Elham Ahmadi and Sepideh Moradi held a protest on Monday, January 28, at the entrance to the prison hall, demanding action on the treatment of Ms. Yadollahi. London-based rights group Amnesty International has reported that eyewitnesses saw Iranian security forces severely beat Yadollahi at the time of her February 2018 arrest, resulting in head injuries. Iranian security forces detained her and several hundred other Dervishes for involvement in anti-government protests that turned violent in Tehran. Amnesty has said Yadollahi and other Dervish women arrested in those protests have been treated badly and arbitrarily detained at Qarchak since. The State Security forces (SSF) shot Ms. Sima Entessari by shotguns at the time of arrest. A year after the crackdown, the shots are still in her leg. The Sufi women were among several hundred Dervishes arrested by Iranian security forces in February for involvement in anti-government protests in Tehran. They have been humiliated and brutalized many times because they have complained about the dire conditions in the Qarchak Prison and the treatment of inmates by prison officials. They have also been deprived for long periods of making telephone calls or having visitors.